Then, Egyptians discovered on June 30, 2013 how leaving the bosom of the state to those who remained outside it for eight decades would be an uncalculated adventure. Returning to the state – despite the corruption of its institutions and its tyranny – would be safer and more reliable than following unknowledgeable crowds. 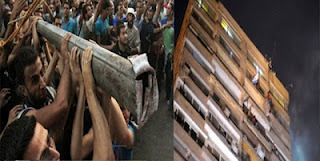 The fall of the Muslim Brotherhood from its pinnacle in early 2011, to its darkest depths two and a half years later, can only be accounted for by its inadequacy and fragility. The interpretation is not helped by saying the media sullied its image, or the Gulf – except Qatar – funded a war against it. Above all, the Brotherhood’s failure to provide a convincing alternative was the main reason behind its seismic tumble; it became a near acolyte to the West. It had abundant cadres but weak quality. It lacked a socioeconomic model, except that of the capitalist with a beard. It lacked a collective revival project. The Brotherhood spent four decades building a wide and securely financed organization within the confines of counter-revolutionary regimes. It contributed greatly to sealing the image of Egypt of the July Revolution in the collective consciousness. 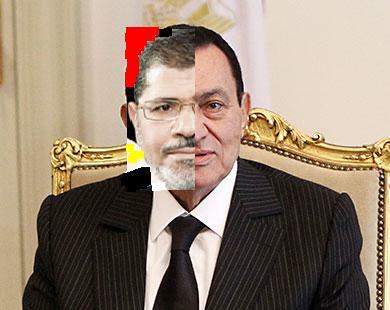 This guaranteed its spot as the power ready to replace Hosni Mubarak. 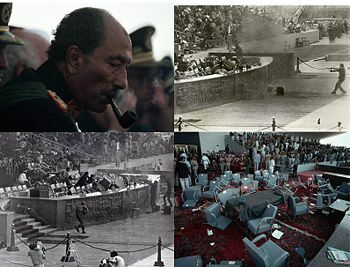 And so it was: Mubarak fell and the Muslim Brotherhood was ready. This was coupled with Washington adopting an approach of empowering the Brotherhood as an antidote to three poisons: Sunni jihadism, Iran and the Shia, and Arab nationalism. 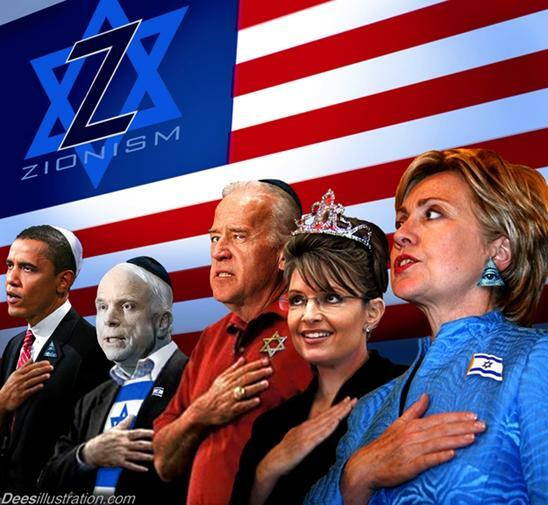 The Brotherhood was the most able to push ahead with an “American” mediation with Israel. Washington was not aware that the Brotherhood’s image from the outside did not reflect its insides. It started to get this feeling in early 2013, yet it fought it. Society as a whole could not wait for the the state, so it came out in masses on June 30. Ever since, a strange sight began to appear on the horizon: a Nasserite street and an elite, which mostly looks up to Sadat. They formed an odd mixture, which is impossible to sustain. Between the two, the army sits waiting and trying to avoid the “strife” of having to choose, keeping its options open. In particular, it is because the economy of Egypt is about to fall into a ditch without bottom. Its security is breached in Sinai, which is about to become an Egyptian Kandahar, and across its western borders, brimming with arms. This is on top of the Brotherhood’s disruptions in the streets, where it has reverted to arms. The army’s deviation from the US scenario, which hoped for coexistence with the Brotherhood, found it tactical allies in the region: those who saw the Brotherhood’s rule over a central Arab country to be an existential threat, especially the rulers of Saudi, the UAE, and Kuwait. These countries only want Egypt to float, not to rise or sink, since both will cause danger. Therefore, the army will walk with them to the crossroads. By voting yes on the constitution, the Muslim Brotherhood would have been completely defeated. The Brotherhood’s defeat will not be in security, despite its blatant appeal, but with society spitting it out and sending it back to its previous situation of decades prior, when saying someone was part of the Brotherhood was an insult. With Abdel-Fattah al-Sisi’s advance to the presidency, the military elite – which controls half the economy and realizes its monopoly on violence – is threatened by jihadists and, now, the Brotherhood’s call to arms. It will face difficult choices: Where to get the money to rise? What shall we do with those who carry arms? What is Egypt’s position in the tremors hitting the region? Who do we latch onto internationally, and how do we face our fate? 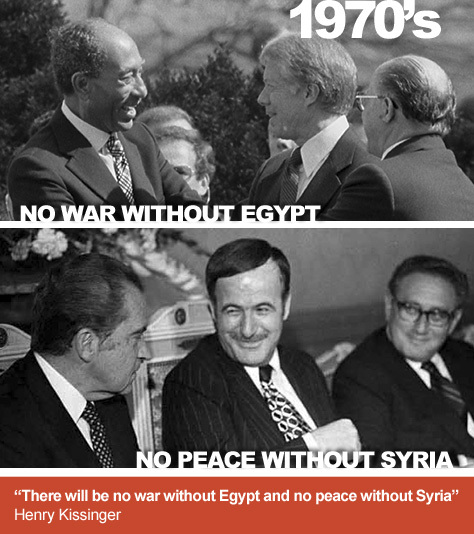 The Nasserist-Sadatist alliance will break up. The question is: To whose benefit? Logic dictates that Egypt’s safe exit into the wide space of immunity could only occur through a modern Nasserism. However, the remnants of dependency interests will fight this to the end. The answer remains with Sisi. Filed under: Brotherhood, Egypt, Egypt Zionists, Egypt's Army, Egyptian revolution, GCC, Nasser, Qatar, Saudia | Tagged: Mubarak, Pharaoh |	Comments Off on Where to, Egypt? Taqiyya and Jihad are among many terms misunderstood by Muslims and non-Muslims alike. The Anti-Muslim and anti-shiites Muslims love to talk about the so called, rule that permits Muslims to lie to spread Islam or spread Shiism. They manipulate their meanings to their convenience. In real life the whole mankind practice Taqiyya naturally, calling it other names like: “Kittman” `tolerance’, `diplomacy, ‘deception’ and `common sense’, pragmatism. Deception is a daily bussiness praticed by leaders, states, spies, media.. It is the basis of international relations. When the Egyptians see you, they will say, ‘This is his wife.’ Then they will kill me but will let you live. In Quran we have the verses 16:106 about Ammar Ibn Yasser’s famous case of Taqiyyah read by Brotherhood, without comprehending, millions of times. So, while reading the following article, replace Replace Pragmatism with Taqiyya, and note that Shea and all Muslims practiced and conceal their faith when they were under threat. Second: to cheat Egyptians and get elected. Posted on Mon, Nov 26. Following his recent edict granting himself unprecedented powers, President Mohammed Morsi addressed his supporters in front of the presidential palace — the place originally chosen by Mubarak to serve as the formal presidential building — declaring that he would “cure Egypt from the woodworms.” This particular remark sums up his attitude toward the current crisis: the president and his ruling party view their opponents as woodworm beetles in need of removal. First, pragmatism is a tool that protects, rather than replaces, ideology. The pragmatism that Morsi has shown in negotiating the Gaza cease-fire between Israel and Hamas may have surprised many, particularly in the United States. This pragmatism is one of the Islamists’ tools to protect their beliefs when they sense that current conditions are not ripe to force a more preferable outcome. Their aim is rather to secure their basic foundation; pragmatism is the fleece that protects the ideology without compromising it. Second, the Brotherhood is a monolithic entity. Many analysts argue passionately that the Brotherhood is not a monolithic group and that there are a variety of principles and beliefs among its members. That is true but with clear limits to this diversity. The group can accept differences in opinion but only within certain boundaries. Individualism is not allowed in a group founded on obedience. Those who express strong opinions may be forced to leave the group. Third, ambiguity is a policy. Since the revolution, the Brotherhood has adopted an approach of deliberate ambiguity in their dealings with the general public and with other political parties. They are always clear about what they are against but are much more elusive as to what they endorse. The phrase “civil state” is one example: the choice of words clearly rejects secularism, yet it does not specifically invoke the notion of an Islamic state. Their ambiguity was reflected in the deliberations over the new constitution, which is precisely why many non-Islamists group who wanted clear protection of liberties and rights within the new constitution were forced to quit the constitutional assembly. Fourth, and perhaps most importantly, is hidden insecurity. Years of oppression have earned the group tenacity, but also a chronic suspicion of the wider society. The group always boasts about their strength yet their actions reveal their insecurity. Their persistent claim of conspiracy — even by hints by Morsi in his last speech that some are plotting against the revolution and seeking outside help, and his hints of phone tapping of those alleged plotters — reflect a rattled party, utterly uneasy with their new position as rulers. Their desire for power grabs is, in fact, part of self-protection strategy against an outside world that, in their eyes, is full of enemies and non-friends. Understanding the above points is essential in explaining the unfolding events in Egypt. 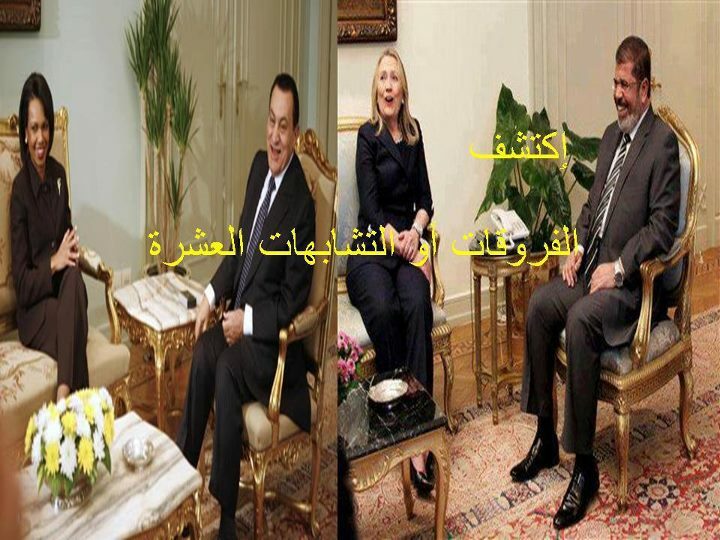 Morsi was pragmatic when pragmatism was needed. He happily made deals with other groups, like the Sixth of April Movement, to secure victory in the election. Deliberate ambiguity has helped him in abandoning that to which he never clearly commits. His united party allows him to consistently mobilize supporters and create an illusion of a majority by using what Egyptians now describes as “buses democracy” by mobilising crowds from various regions to fill the squares in a matter of hours. Now, his insecurity has tempted him to fast track his plan to cleanse the political sheet. 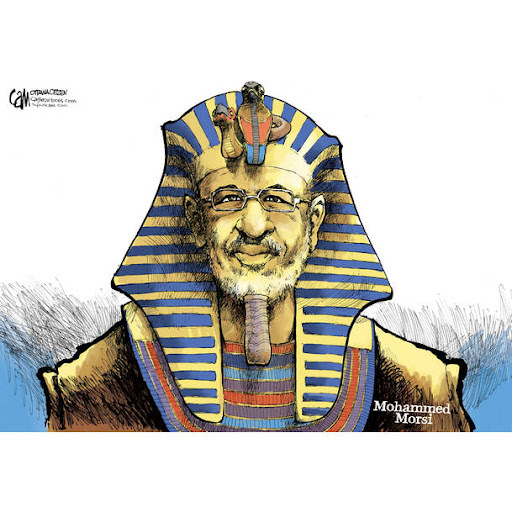 In his mind, Morsi views Egypt as a malfunctioning machine that must be restored back to its factory settings with Islamic instruction and an Islamist semi-monopoly that is geared to produce law-abiding citizens who agree rather than oppose, and worship rather than reject. An Islamic constitution and restoring a majority in the next parliament are musts, and for them, any path or actions are justified. Morsi’s desired transformation is aimed to achieve a made-to-measure democracy, with some elements autocracy that is deemed by him as necessary. The problem with the “woodworms” approach to politics is that it was tried before in Egypt and failed drastically. Gamal Adbel Nasser, Egypt’s president from 1956 till his 1970 death, treated them as Muslim Botherhood as a dangerous worm — yet despite his ruthless oppression, he failed to prevent their spread in the Egyptian society. Regardless of the outcome of the current crisis, and whether the president choses to compromise or persevere, a serious transformation in the mindset of Morsi and the Muslim Brotherhood is much needed if they are seriously willing to move the country and break with old attitudes. However, and to be honest, I am not holding my breath, Egypt has not had successful revolutions in two consecutive years, the Brotherhood seems to be firmly in control, while their opponent still have no clear plan for the day after, both are not willing to look back at the history books and learn from it. Khalid Hamayreh who failed in turning deliberation into a sectarian mouth outlet, he returned to his PIC to spread is sectarian poison. This is not to say, of course, that the Islamic movements should scale down its devotion to the Palestinian cause and confrontation with Zionism and Israel. In the final analysis, the Islamic movement’s commitment to the Palestinian cause is the single most important factor contributing to Islamists’ popularity among the masses. Thus, revealing that his main concern is not the Palestinian cause, but the Isalamists popularity among the masses. When Mursi won the presidency in Egypt, Gazans were ecstatic and publicly celebrated their expectations of better times to come. Today, their disappointment is just as immense as their previous elation. Palestinians were feeling frustrated with the Egyptian decision to only open the Rafah border crossing south of the Gaza Strip for three days a week. They had hoped that their situation would improve dramatically after Mohammed Mursi’s victory in the presidential election. 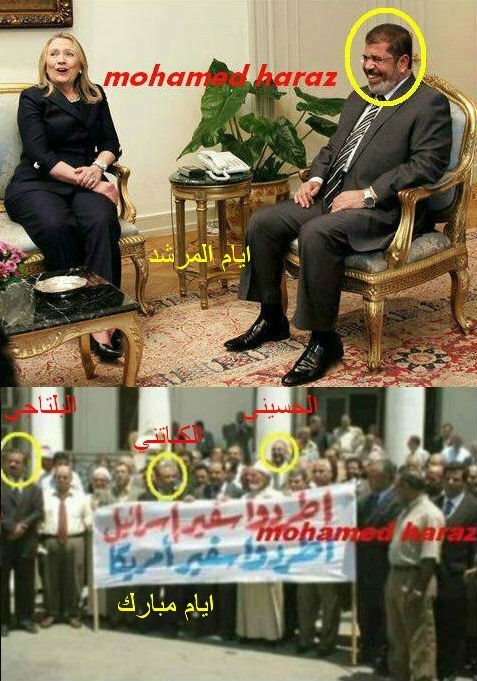 After all, Mursi is a member of the Muslim Brotherhood (MB), Hamas’ ally. After the Sinai incident in which 16 Egyptian soldiers were killed on August 6, the Egyptian authorities closed down the Rafah crossing. The Hamas government announced it would close the tunnels along Gaza’s southern borders, stopping citizens from leaving the country and stopping the entry of food items and fuel into Gaza. As a result, people panicked and flocked to gas stations to store up on fuel and queues of cars were seen lining up. Closing the tunnels led to a gas shortage and a price hike and to scarcity in some items in Gaza’s markets. Gazans were deeply disappointed after all their elation at Mursi’s victory. The health sector was hit the worst by the repercussions of the crossing’s continued closing. Scores of patients have been unable to travel for operations and treatment outside Gaza. Hamas has denied any relation to the incident in Sinai, accusing Israel of standing behind the attack. Its security agencies declared their willingness to cooperate fully with the Egyptian leadership to reveal the perpetrators and asked for the reopening of the crossing and the tunnels. After all, Hamas is an offshoot of the MB.” Abrash pointed out that Hamas received assurances that opening the crossing is connected to closing the Rafah investigations. In the meantime, the office of the prime minister of the Hamas government, Ismail Haniya, announced that the prime minister ended consultations regarding a cabinet reshuffle in his government, though no details were released. A statement said that: “Haniya ended his consultations after an adequate period of time,” and he is expected to present the new cabinet before the parliament soon for a vote of confidence. Haniya’s expected decision is considered a new attempt at Palestinian reconciliation taking place with Egyptian sponsorship. The cabinet reshuffle comes as a response to a similar reshuffle in Salam Fayad’s government in the West Bank. 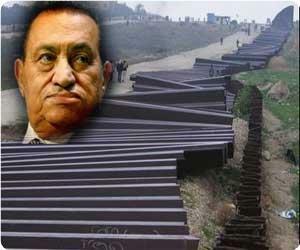 Egypt just annulled Mubarak’s natural gas giveaway- Will Sadat’s Camp David and the Zionist Embassy be next? 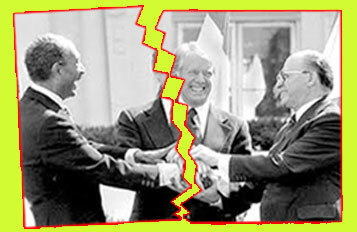 ﻿﻿Will Sadat’s Camp David and the Zionist Embassy be next? during a protest in Cairo on Feb. 2, 2009. ﻿Once Mubarak was toppled and his 14 secret police agencies began to lose some of their omnipresence, the gas line to Israel was severed 14 times in 12 months by a series of explosions that cut off 40%, of Israel’s supply which was used to generate electricity. Ampal, the Israeli company which buys the gas, said that it considers the termination of the contract “unlawful and in bad faith”, and demanded its full restoration. 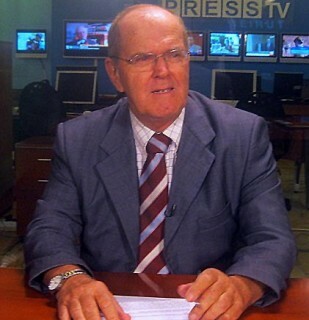 Ampal, is planning to use international arbitration to attempt redress and is sending a corporate delegation to Washington to meet with AIPAC and administration officials to ask them to get the Egyptian action nullified and to force Egypt to keep selling its natural gas at below market prices. One congressional staffer joked in an email that Israeli companies get way better constituent services out of Congress than American companies, or even the voters who elect its members. 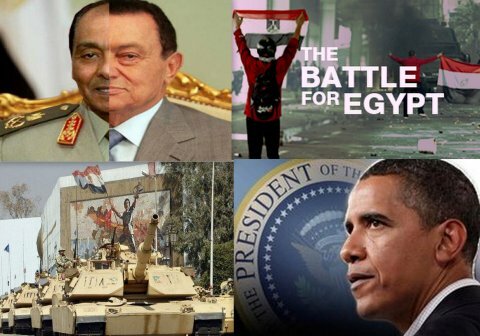 Filed under: Camp David, Egypt Zionists, Egyptian revolution, Liberation, Normalisation | Tagged: Franklin Lamb, Pharaoh |	Comments Off on Egypt just annulled Mubarak’s natural gas giveaway- Will Sadat’s Camp David and the Zionist Embassy be next? People attend Friday prayers in Tahrir square in Cairo 20 April 2012.
doubts about the army’s commitment to democracy. Pledges to put an end to years of marginalization under Mubarak have fallen on skeptical ears in an area of Egypt that is used to hearing scores of unfulfilled promises. Abd al-Halim Hafez’s song “Good Morning Sinai,” adapted from the poem by Abd al-Rahman al-Abnoudi, is always sung on the anniversary of the liberation of the Sinai Peninsula from Israeli occupation. Egyptians celebrated the 30th anniversary on Thursday. For the past 28 years, the celebration was accompanied only by images splashed over TV screens and newspapers of deposed president Hosni Mubarak laying a wreath on the Tomb of the Unknown Soldier, and another on the grave of his predecessor, Anwar Sadat. This year was different. Field Marshal Muhammad Tantawi assumed Mubarak’s wreath-laying role. Meanwhile, Sinai was treated to an unprecedented series of campaign visits from candidates in the forthcoming presidential elections, led by the Muslim Brotherhood’s Muhammad Mursi and the revolutionary forces’ nominee, Hamdeen Sabahi. All hopefuls voiced their commitment to developing the region and addressing its people’s numerous grievances, making promises that sounded familiar to those frequently made but never delivered during the Mubarak years. The “Country of Turquoise,” for which thousands of Egyptians gave their lives, was never a development priority under Mubarak. The “Country of Turquoise,” for which thousands of Egyptians gave their lives, was never a development priority under Mubarak. He always appointed trusted retired generals as its governors. Sinai’s economic resources – whether real estate, oil, or the gas that supplied 40 percent of Israel’s needs – were meanwhile placed at the disposal of Mubarak’s friend, Hussein Salem, now a fugitive. 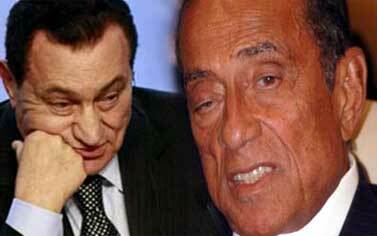 Mubarak and Salem viewed Sinai purely as the territory of the Camp David agreement with Israel. Everything they did there was related to bolstering that accord, under which Sinai was divided into three zones, each demilitarized to different degrees to ensure that Israel faced no threat from the Egyptian army. The official media scarcely mentioned Sinai other than in the context of “security campaigns,” illegal weapons, smuggling, the tunnels to Gaza, or Israel – whose citizens filled the region’s hotels. The January 25 revolution brought little more to Sinai than a visit from former Prime Minister Essam Sharaf last April. 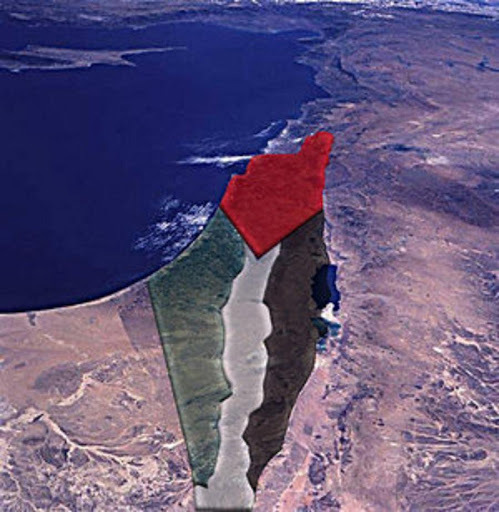 This initially raised hopes that the peninsula might finally be freed from the siege and exclusion imposed on it by Mubarak’s regime and his close ties with Israel. But only empty promises followed. Although Sharaf pledged that those living in Sinai would be accorded land ownership rights, nothing has been done. There were abundant promises, too, from the presidential hopefuls who flocked to Sinai ahead of the second liberation anniversary after the revolution. Although Sharaf pledged that those living in Sinai would be accorded land ownership rights, nothing has been done. They were preceded by their published election programs, in which most acknowledged the need to address Sinai’s problems, though rarely devoting more than a couple of lines to the matter. Sabahi’s program sufficed with saying that he would be committed to the development of Sinai if elected president, without specifying how his vision of the region’s development differs from the one which Mubarak always claimed to have. Independent Islamist candidate Abd al-Moneim Abul-Futouh’s program included Sinai as one of several border areas in which he promised to increase state investment, along with outlying regions in the west and south of the country. Mubarak’s former Foreign Minister Amr Moussa echoed his ex-boss’ approach to solving Sinai’s problems by affirming in his election manifesto that he would give top priority to restoring security in Sinai. It also said that he would enable local people to acquire ownership rights over their lands, overcome discrimination against them in obtaining public sector jobs and joining the army, police and judiciary, and bring an end to the decades of marginalization, exclusion, and injustice they have suffered. Local observers saw the presidential candidates’ visits as little more than electioneering, pointing out that their proposals were vague and not properly thought out – reminiscent of the Mubarak-era promises. Mursi, the Muslim Brotherhood candidate, outdid all the others by not just visiting Sinai and discussing its problems with local people, but also devoting a special section in his election program to it. Titled “Sinai Development Plan,” it envisaged dividing Sinai into five economic zones, and focusing development efforts on specific sectors in each (agriculture, commerce, manufacturing, and livestock herding in the northern zone around the provincial capital at al-Arish; mining and small industry in the central zone; agriculture, commerce, and livestock in the west; tourism in the southeast; and tourism along with mining and petroleum extraction in the southwest). Railways would also be built linking Sinai to Suez and Ismailia under the plan, which Mursi estimated would cost Egyptian Pounds (LE) 20 billion (US$3,300,000,000) over a period of five years. Nevertheless, local observers saw the presidential candidates’ visits as little more than electioneering, pointing out that their proposals for aiding the region’s development and addressing its grievances were vague and not properly thought out – reminiscent of the Mubarak-era promises. According to writer Masaad Abu-Fajr, what the people of Sinai want from Egypt’s forthcoming president is something altogether different. Numbering over half a million, they only have one representative in parliament. 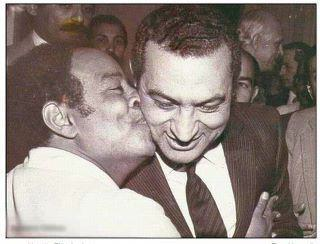 Mubarak treated them as traitors or agents, and did not even acknowledge many of them as Egyptian. In all his years in power, all Mubarak did for Sinai was divide it administratively from one governorate into two. 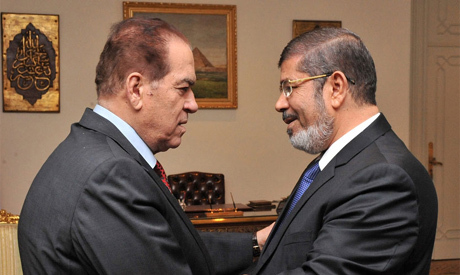 The next president, says Abu Fajr, must firmly re-establish the sense of Egyptian identity for those living in Sinai.